Due to ticket demand, Buyer & Cellar will now play through Sunday, May 10! 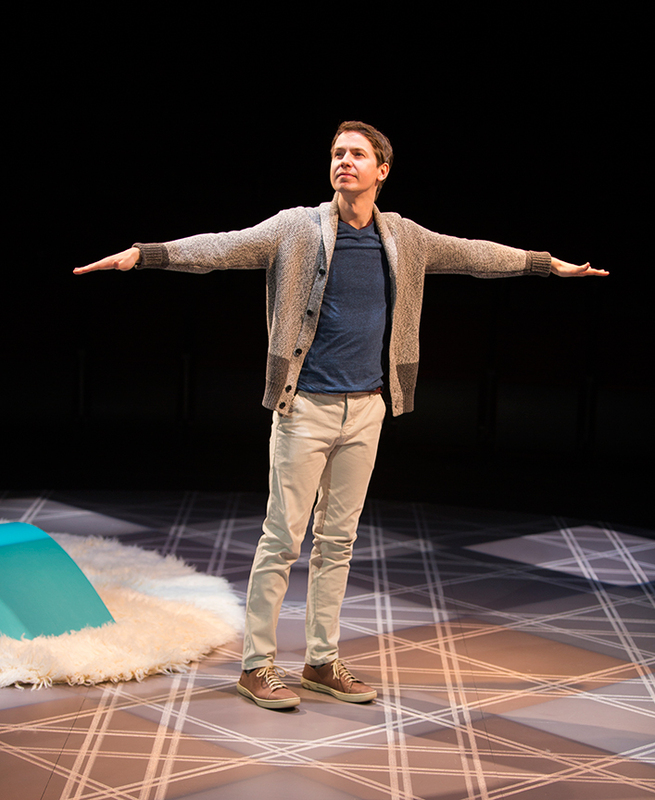 David Turner stars as Alex More in Jonathan Tolins's Buyer & Cellar, directed by Ron Lagomarsino, April 4 - May 10, 2015 at The Old Globe. Photo by Jim Cox. 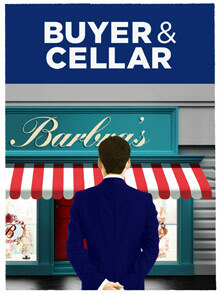 Ron Lagomarsino (left) directs David Turner (right) in Jonathan Tolins's Buyer & Cellar, April 4 - May 10, 2015 at The Old Globe. Photo by Jim Cox. 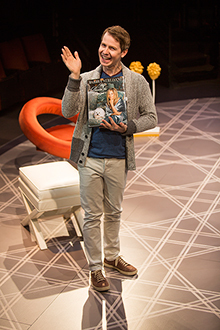 Ron Lagomarsino directs Jonathan Tolins's Buyer & Cellar, April 4 - May 10, 2015 at The Old Globe. Photo by Jim Cox. Playwright Jonathan Tolins. Tolins's Buyer & Cellar, directed by Ron Lagomarsino, will run April 4 - May 10, 2015 at The Old Globe. Photo courtesy of The Old Globe. 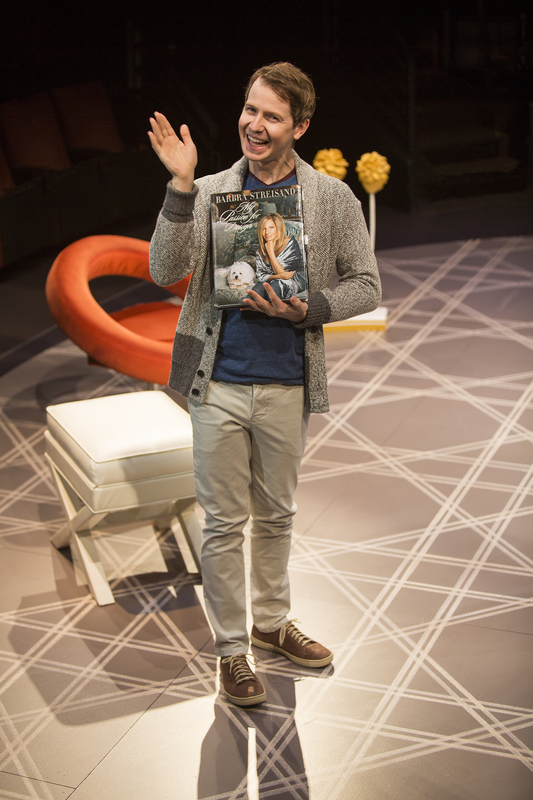 Jonathan Tolins's Buyer & Cellar directed by Ron Lagomarsino will run April 4 - May 10, 2015 at The Old Globe. Art courtesy of The Old Globe. David Turner (Alex More) In 1999, before Turner had any credits on his résumé or had even joined Equity, Old Globe Artistic Director Barry Edelstein gave him a small but splashy speaking role in his production of As You Like It starring Gwyneth Paltrow. 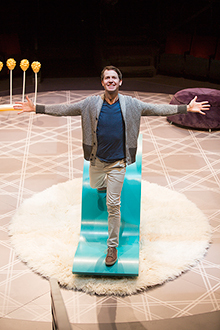 Two years later, former Old Globe Artistic Director Jack O’Brien cast Turner in his first Broadway play: Tom Stoppard’s The Invention of Love. Turner would like to dedicate this performance, his Globe debut, to these two men, whose two acts of faith gave him his stage career. Five more Broadway productions have followed since: Stoppard’s Arcadia, Terrence McNally’s The Ritz, In My Life, Sunday in the Park with George, and a starring role opposite Harry Connick Jr. in On a Clear Day You Can See Forever. His Off Broadway credits include The Complete Works of William Shakespeare (abridged), The Butter and Egg Man, The Last Sunday in June (also by Jonathan Tolins), Gutenberg! The Musical!, and most recently, The Good Person of Szechwan at The Public Theater. Among Turner’s television appearances are “Lipstick Jungle,” “The Good Wife,” and HBO’s “The Leftovers.” He is the recipient of two Helen Hayes Award nominations and BMI’s prestigious Jerry Harrington Musical Theater Award for songwriting. When his feet aren’t on the boards or at the piano, they’re in the air. David is a commercial pilot who owns and manages a small public airport in Pennsylvania called the Flying Dollar (8N4), where he lives with his cats and his wonderful partner, Aaron. 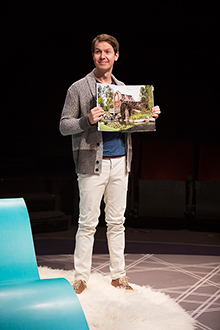 Jonathan Tolins (Playwright) is the author of Buyer & Cellar, which won the Lucille Lortel Award for Outstanding Solo Show and was named Best Unique Theatrical Experience by the Off Broadway Alliance. His other plays include The Twilight of the Golds, If Memory Serves, The Last Sunday in June, and Secrets of the Trade.He is represented on Broadway this season by additional material written for the revival of On the Town. His film work includes The Twilight of the Golds and Martian Child. For television, he was a writer for “Queer as Folk”(U.S.), “The Academy Awards,” “The Tony Awards,” and “Partners.” He was the author of Pushkin 200: A Celebration at Carnegie Hall, acted as script consultant on Walking with Dinosaurs – The Arena Spectacular, and co-wrote The Divine Millennium Tour and The Showgirl Must Go On for Bette Midler. 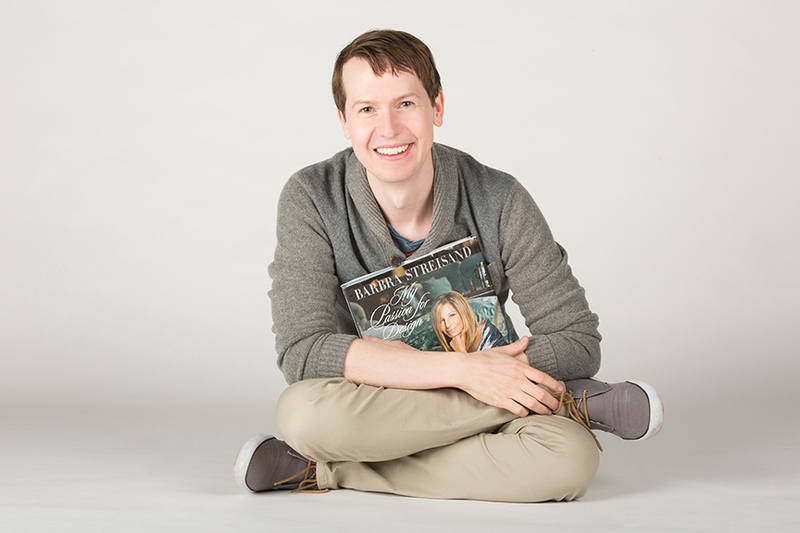 He has written articles for Opera News, Opera Monthly, TheaterWeek, Time, and The Huffington Post, and is a panelist on the Metropolitan Opera Radio Quiz. He lives in Fairfield, Connecticut with his husband, the writer and director Robert Cary, and their children, Selina and Henry. 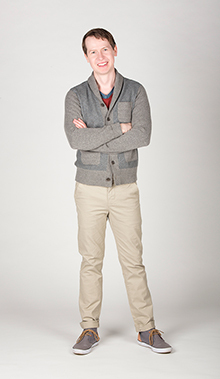 He is a member of the Dramatists Guild and the Writers Guild of America. 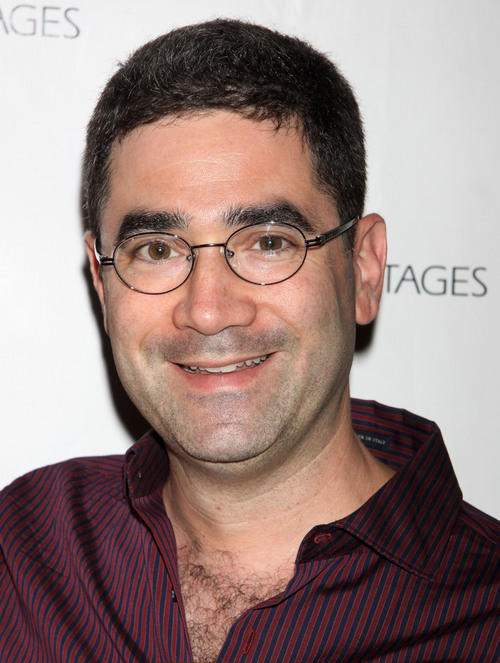 Ron Lagomarsino (Director) directed the Broadway productions of Alfred Uhry’s The Last Night of Ballyhoo (Tony Award for Best Play) and the Joseph Dougherty/Lynn Ahrens/Stephen Flaherty musical My Favorite Year. His Off Broadway credits include Uhry’s Driving Miss Daisy (Pulitzer Prize, Drama Desk Award nomination), Digby (Drama Desk and Outer Critics Circle Award nominations), Beth Henley’s Abundance, and John Patrick Shanley’s Women of Manhattan. 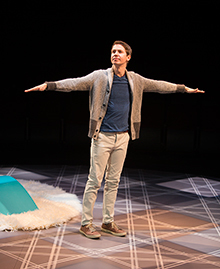 He is the recipient of the Outer Critics Circle Award for Daisy, Christopher Durang’s Laughing Wild, and Timothy Mason’s Only You. Lagomarsino also directed the national tour of Daisy with Julie Harris, as well as the West End production with Dame Wendy Hiller. His regional credits include the world premieres of Jane Anderson’s Looking for Normal (Geffen Playhouse), I Am Not Mark Twain by Steven Cragg (Aspen Comedy Festival, Best One-Person Play), and Lisa Loomer’s Birds (South Coast Repertory); the West Coast premieres of David Mamet’s November (American Conservatory Theater) and Larry Shue’s The Foreigner (SCR); Noises Off (Seattle Repertory Theatre); and Hay Fever (Kenyon Festival Theater). He served as Resident Director of Hartford Stage for two seasons as well as Associate Artistic Director of Berkshire Theatre Festival. 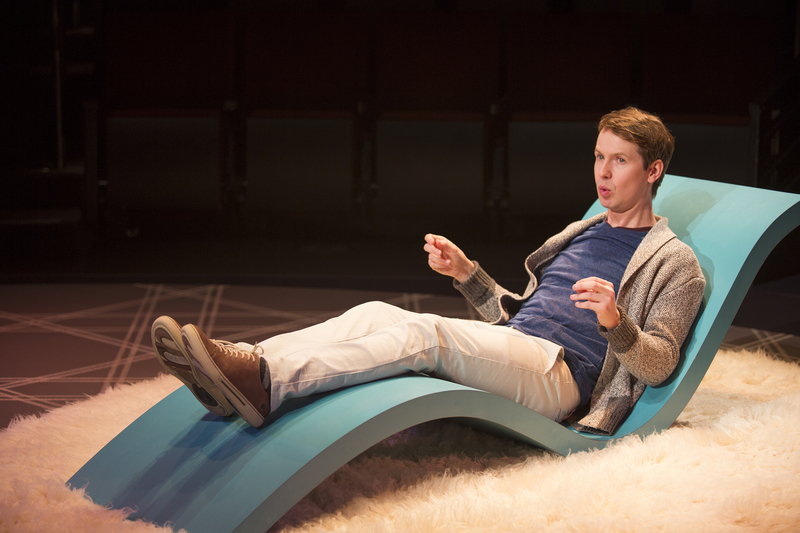 He has developed many new works at New York Stage and Film, Sundance Institute Theatre Lab, Eugene O’Neill Theater Center, and Ojai Playwrights Conference. Lagomarsino’s television credits include the pilots of “Picket Fences” (Directors Guild of America Award), “Homefront” (Emmy Award nomination), and most recently “Ravenswood,” for which he also served as Co-Executive Producer. 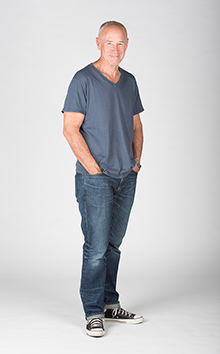 His favorite episodic television credits include “thirtysomething,” “My So-Called Life,” “Ally McBeal,” “The Unit,” “The Starter Wife,” “The Fosters,” and “Pretty Little Liars.” The recipient of a National Endowment for the Arts Directing Fellowship, Lagomarsino is a graduate of Santa Clara University (valedictorian) and New York University’s Tisch School of the Arts (J.S. Seidman Award), where, as an M.F.A. candidate, he launched his professional career as assistant director of the Chelsea Theater Center production of Yentl the Yeshiva Boy. Who knew? Erik Flatmo (Scenic Design) is a set designer based in San Francisco. His designs for plays and musicals have been presented by companies including American Conservatory Theater, Asolo Repertory Theatre, Berkeley Repertory Theatre, California Shakespeare Theater, Magic Theatre, San Jose Repertory Theatre, South Coast Repertory, TheatreWorks Silicon Valley, and Yale Repertory Theatre. His work in opera has premiered at Opera Santa Barbara, Opera San Jose, and San Francisco Opera’s Merola Opera Program. His work in dance and contemporary performance has debuted at venues such as the American Realness festival, Dance Theater Workshop, Danspace Project, The Kitchen, Museum of Contemporary Art Chicago, On the Boards, and REDCAT, in addition to international presentations in Chile, France, Germany, Mexico, Poland, and Sweden. He is a graduate of Columbia University and the Yale School of Drama. 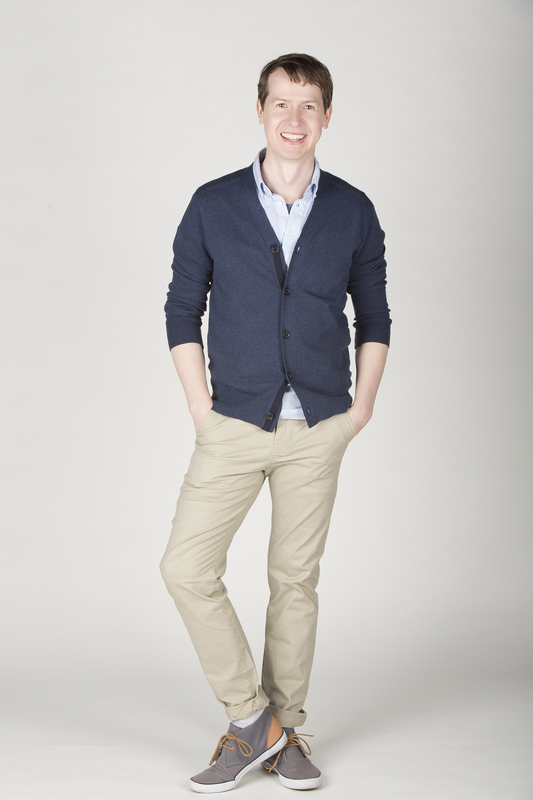 He teaches set design at Stanford University. Charlotte Devaux (Costume Design) has designed 23 productions at The Old Globe including Quartet, Other Desert Cities, Somewhere, The Last Romance with Marion Ross, Kingdom, The Price, Trying, Two Sisters and a Piano, Who’s Afraid of Virginia Woolf?, A Body of Water, Since Africa, Da, and All My Sons. Her work has been featured at La Jolla Playhouse, Mo’olelo Performing Arts Company, TheatreWorks Silicon Valley, and San Diego Dance Theater. She also designed Miami Libre, a Cuban dance musical, for the Adrienne Arsht Center for the Performing Arts, Miami. Internationally, Ms Devaux designed costumes extensively for theatre and television in New Zealand for 10 years. She was the costume designer and stylist for Television New Zealand’s children’s programming and dramas and is an Associate Artist with the Christchurch Drama Center. Her costumes have also been featured at The Court Theatre and the Christchurch Repertory Theatre, New Zealand. She holds additional costume design credits in Sydney, Australia, and London. Devaux currently holds the position of Resident Associate Costume Designer at The Old Globe where she has worked on over 70 productions, including Bright Star, A Gentleman’s Guide to Love and Murder, The Last Goodbye, The Winter’s Tale, The Times They Are A-Changin’, Robin and the 7 Hoods, Dirty Rotten Scoundrels, Sammy, and the Summer Shakespeare Festivals. Philip S. Rosenberg (Lighting Design) previously designed the Globe productions of A Gentleman’s Guide to Love and Murder, Pygmalion, and The Recommendation. 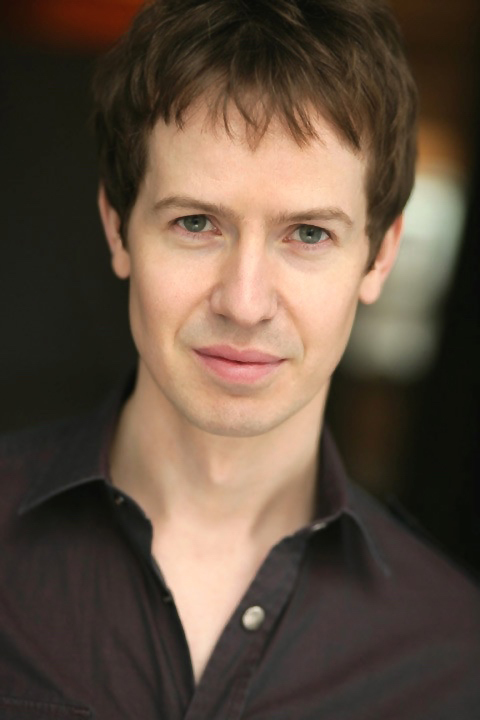 His Broadway credits include The Elephant Man, It’s Only a Play, and A Gentleman’s Guide to Love and Murder. His Off Broadway credits include The Explorers Club and Cactus Flower. His other regional theatre credits include works at La Jolla Playhouse, Ford’s Theatre, Arena Stage, TheatreWorks Silicon Valley, Huntington Theatre Company, Chicago Shakespeare Theater, Manhattan School of Music, Portland Stage, The Actors Company Theatre, Barrington Stage Company, Hartford Stage, Williamstown Theatre Festival, Dorset Theatre Festival, Bay Street Theater, Two River Theater Company, George Street Playhouse, and Westport Country Playhouse. 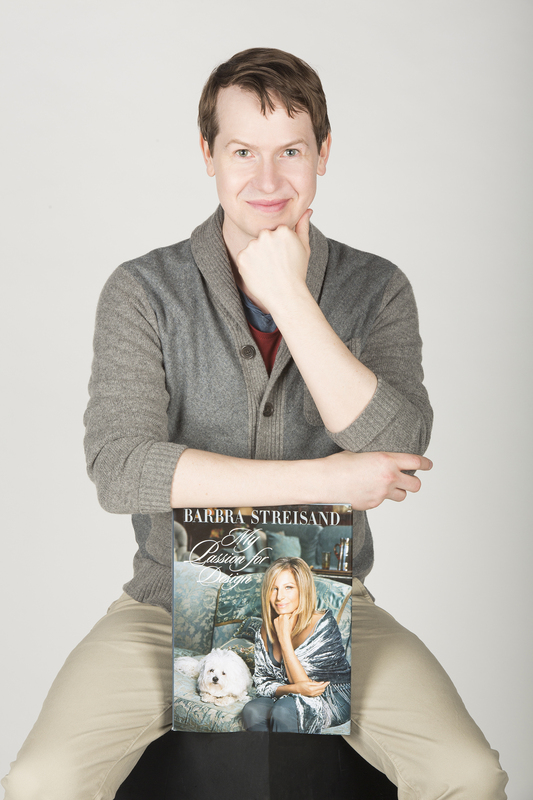 Rosenberg has served as Associate Lighting designer of more than 35 Broadway plays and musicals. Lindsay Jones (Original Music and Sound Design)previously worked on the Globe productions of Richard III, As You Like It, Inherit the Wind, The Recommendation, Groundswell, Opus, The Glass Menagerie, In This Corner, Oscar and the Pink Lady, Lincolnesque, Sky Girls, and Beyond Therapy, among others. He designed and composed for the Broadway productions of Bronx Bombers and A Time to Kill. 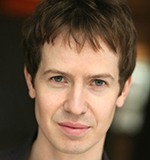 His Off Broadway credits include Bootycandy (Playwrights Horizons), Mr. Joy (LCT3), Wild with Happy (The Public Theater), Top Secret (New York Theatre Workshop), Rx (Primary Stages), and many others. 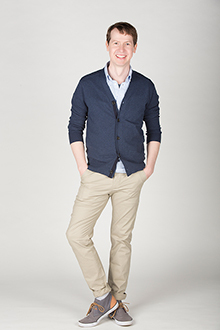 His regional credits include Guthrie Theater, Hartford Stage, Alliance Theatre, Goodman Theatre, American Conservatory Theater, Chicago Shakespeare Theater, Steppenwolf Theatre Company, La Jolla Playhouse, Arena Stage, and many others. His international work includes Stratford Shakespeare Festival in Canada and Royal Shakespeare Company in England, as well as productions in Austria, Zimbabwe, South Africa, and Scotland. 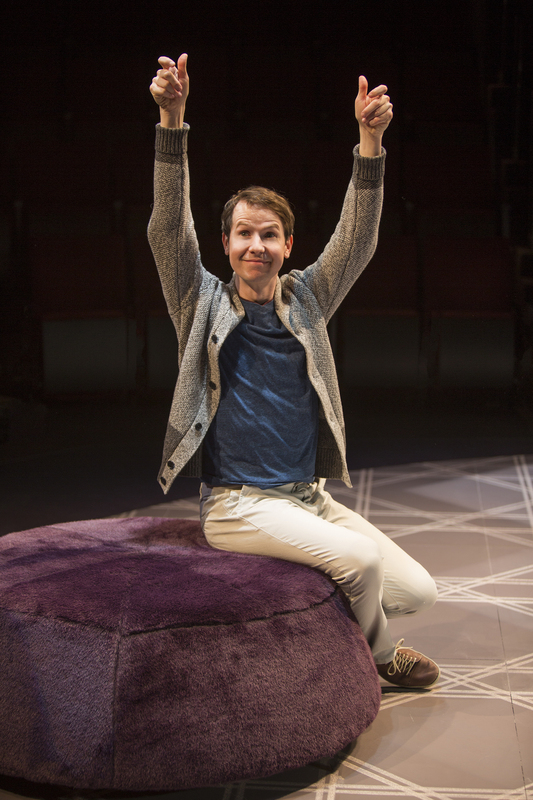 Jones has received seven Joseph Jefferson Awards and 21 nominations, two Ovation Awards and three nominations, and a Los Angeles Drama Critics Circle Award, as well as three Drama Desk Award nominations, two Helen Hayes Award nominations, and nominations for the Barrymore Awards, Henry Hewes Design Awards, and many others. His film scoring credits include Magnolia Pictures’ The Brass Teapot and HBO Films’ A Note of Triumph: The Golden Age of Norman Corwin (2006 Academy Award for Best Documentary, Short Subjects). Caparelliotis Casting (Casting) recently cast the Globe productions of The White Snake, The Twenty-seventh Man, Dr. Seuss’ How the Grinch Stole Christmas!, The Royale, Vanya and Sonia and Masha and Spike, Water by the Spoonful, Time and the Conways, Bethany, The Winter’s Tale, The Few, Double Indemnity, The Rainmaker, Other Desert Cities, Be a Good Little Widow, A Doll’s House, The Brothers Size, Pygmalion, and Good People. Their Broadway casting credits include Fish in the Dark, It’s Only a Play, Disgraced, Holler If Ya Hear Me, Casa Valentina, The Snow Geese, Lyle Kessler’s Orphans, The Trip to Bountiful, Grace, Dead Accounts, The Other Place, Seminar, The Columnist, Stick Fly, Good People, Bengal Tiger at the Baghdad Zoo, The House of Blue Leaves, Fences, Lend Me a Tenor, and The Royal Family. They also cast for Manhattan Theatre Club, Second Stage Theatre, Atlantic Theater Company, LCT3, Ars Nova, Goodman Theatre, Arena Stage, Ford’s Theatre, and three seasons with Williamstown Theatre Festival. Their recent film and television credits include HairBrained with Brendan Fraser, “Odyssey” (upcoming, NBC series), “How to Get Away with Murder” (ABC pilot), “Ironside” (NBC), and Steel Magnolias (Sony for Lifetime). Jess Slocum (Production Stage Manager) previously worked at The Old Globe on Bright Star, Othello, Water by the Spoonful, The Winter’s Tale, A Doll’s House, Pygmalion, A Room with a View, Richard O’Brien’s The Rocky Horror Show, the 2011-2013 Shakespeare Festivals, Rafta, Rafta…, Robin and the 7 Hoods, Alive and Well, Sammy, Cornelia, Since Africa, Dr. Seuss’ How the Grinch Stole Christmas!,and The Glass Menagerie. Her Broadway credits include In the Heights. Her regional credits include Side Show, Ruined, The Third Story, Memphis,and Most Wanted (La Jolla Playhouse) and Post Office (Center Theatre Group). Her San Diego credits include Mo’olelo Performing Arts Company, North Coast Repertory Theatre, and Lamb’s Players Theatre. She is a graduate of Vanderbilt University. Proud member of Actors’ Equity.